OMAHA ­ A new study led by faculty from the University of Nebraska at Omaha (UNO) and published by the journal PLOS ONE shows that most undergraduate natural science curricula do not currently reflect national needs with respect to computer-based data collection and analysis. 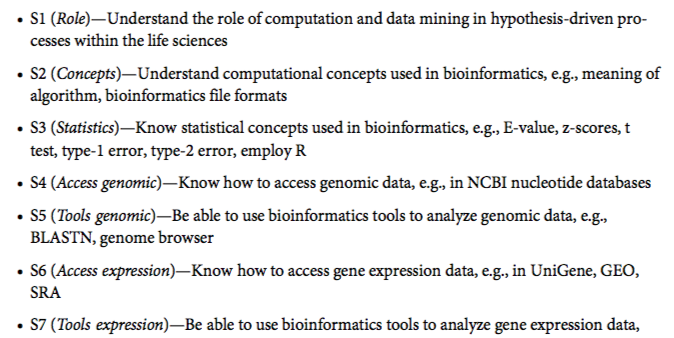 To address the lack of bioinformatics knowledge among life sciences students―bioinformatics is a relatively new scientific discipline that combines elements of computer science and statistics to solve problems in molecular biology―a team of 34 researchers from 26 institutions across the country sought to establish an agreed-upon set of bioinformatics core competencies that every graduating life sciences student should possess. The authors of the study are part of a national research network, the Network for Integrating Bioinformatics into Life Sciences Education (NIBLSE; “nibbles”), funded by the National Science Foundation. The study’s corresponding author is UNO’s Dr. Mark Pauley, a faculty member in the College of Information Science & Technology. According to the study, published online on June 5, 2018, more than 1,200 biology faculty representing colleges and universities from all 50 states responded to a recent NIBLSE survey on bioinformatics. 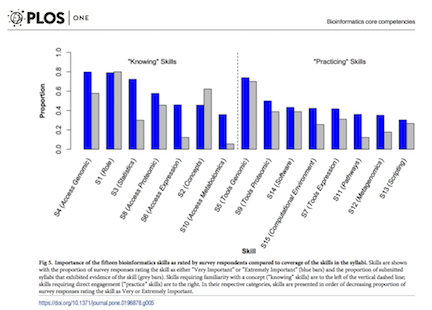 Results showed strong, widespread agreement that bioinformatics knowledge and skills are critical for undergraduate life scientists as well as considerable agreement about which skills are necessary. In response, and to continue to advance the integration of bioinformatics into life sciences education, NIBLSE came up with the Core Competencies during a national meeting of the Network that was held in Omaha in 2016. In establishing the NIBLSE Core Competencies, the authors identified nine areas of focus in which undergraduate students with a life science degree should possess knowledge and skills. These include everything from using bioinformatics tools to examine complex biological problems in evolution and information flow, to interpreting the ethical, legal, medical, and social implications of biological data, to writing computer programs that solve biological problems. The NIBLSE Core Competencies are intended to serve as a guide for higher education institutions as they work to integrate bioinformatics into their life sciences curricula. The group is now working to identify relevant assessment tools and faculty development materials to help align classroom lessons with the competencies.